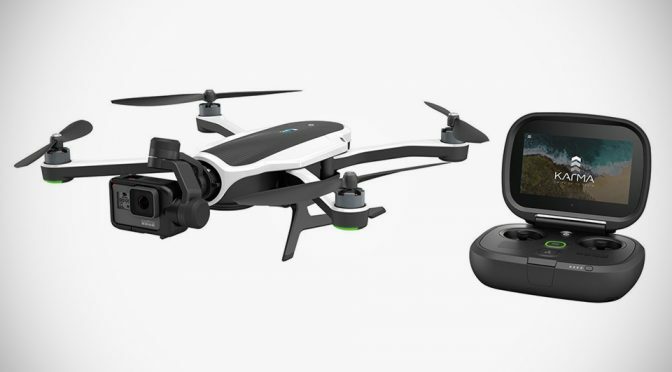 GoPro cameras have taken to the skies for quite sometime now – thanks to popular drones from DJI, but today, it is reaching out to the clear blue sky on its own with the much anticipated and long-awaited imaging drone, dubbed Karma. 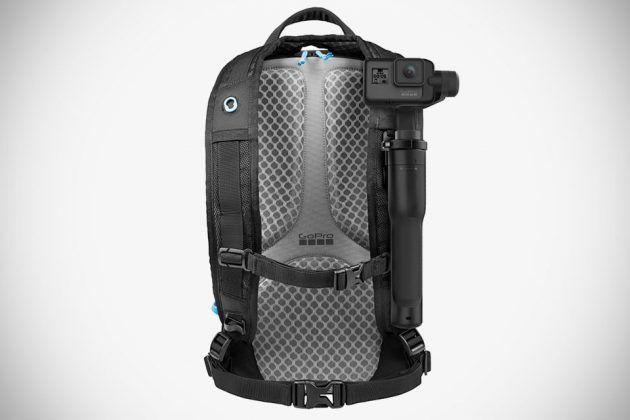 Sporting a sleek, longish and low profile design, the GoPro Karma Imaging Drone is billed as a complete system where it offers more than mere aerial imaging. 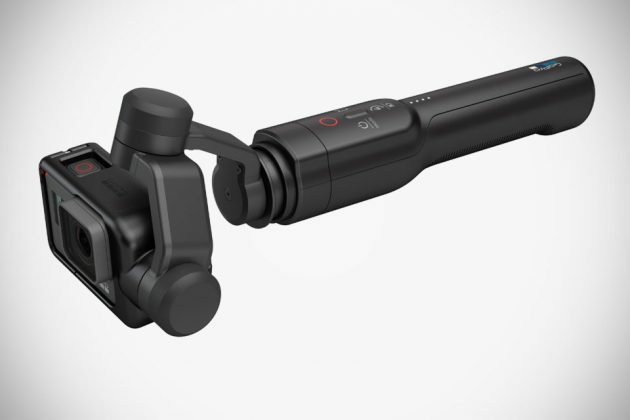 It is also a handheld imaging device that’s wearable and mountable too – thanks to the included image stabilization grip called Karma Grip. 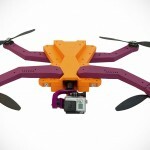 Many drones before it touts simplicity and portability, and Karma here is no different. Out-of-the-box, it comes with a handy, clam-shell style dual-stick controller with its own integrated 5-inch HD display, thus dispensing the need for a smartphone or tablet. Though, an optional Passenger app can be use to allow another person to take control of the camera so you can focus of flying instead of juggling both roles. 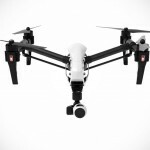 The drone comes equipped with a front-mounted stabilizer designed to work with the just-announced cloud-connected GoPro HERO5 Black and HERO5 Session, as well as the HERO4 Black/Silver cameras. 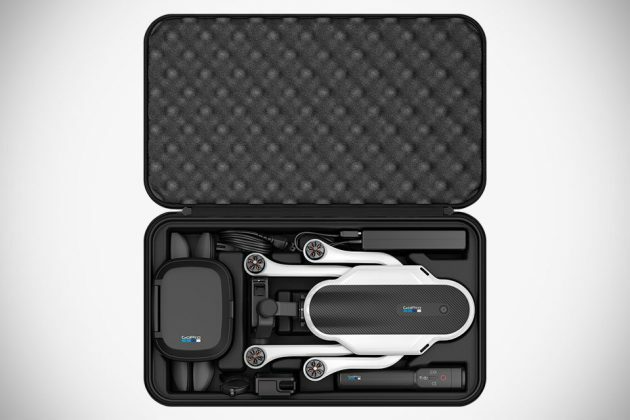 Finally, to maximize portability, the aircraft can be folded down and stowaway in the included backpack that also serve as a protective case for the drone. 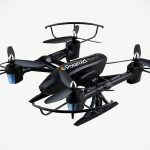 Each of four motors of unknown specification is hooked up with massive 10-inch rotor that affords the craft up to 35 mph and brave up to 22 mph of winds, while 2.4GHz radio frequency, allows a range of one kilometer range (or 3,280 feet) and a flight ceiling of 14,500 feet. 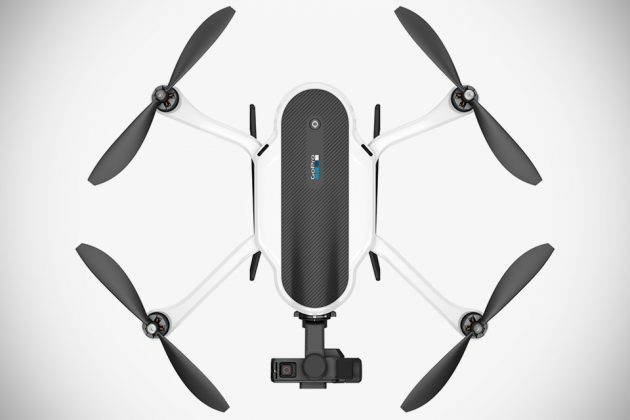 Beyond those details, little was known about its functionality, but we are guessing follow-me, point-of-interest and, you know, the usual imaging drone features should be included. 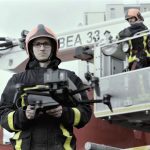 Similarly, GPS is not mentioned, so is collision avoidance system, and so, we are going to take it as a ‘no’ and go out on a limb to assume this is not an intelligent drone.